Good Charlotte have announced a tour of the UK this winter with tickets on sale Fri 16 Jun at 9am. The pop punk veterans play six shows across the country at the end of the year, kicking off at Southampton O2 Guildhall on Mon 27 Nov. The band then visit Nottingham, Glasgow, Birmingham and Manchester before closing the run at London's O2 Brixton Academy on Sun 3 Dec. Led by the Madden brothers, singer Joel and spiky haired guitarist Benji, the group released their self-titled debut album in 2000. It wasn't until 2002's The Young And The Hopeless that they found a mass audience, but with 'Lifestyles of the Rich and Famous', 'Girls and Boys', 'The Anthem' and the title track all big hits on radio and MTV, they made up for lost time. The band have released four albums since then, 2004's The Chronicles of Life and Death, 2007's Good Morning Revival, 2010's Cardiology and last year's Youth Authority, their first release since a hiatus which began in 2011. It's good to have them back. 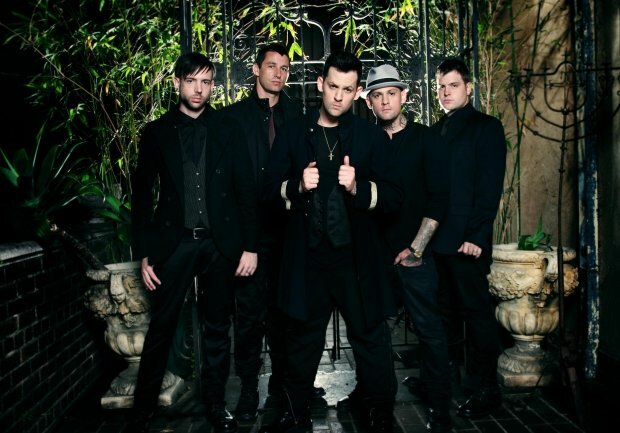 Tickets for Good Charlotte go on sale Fri 16 Jun at 9am.